Hello, all! I’m all about promoting healthy eating, but sometimes, we need a treat, right? 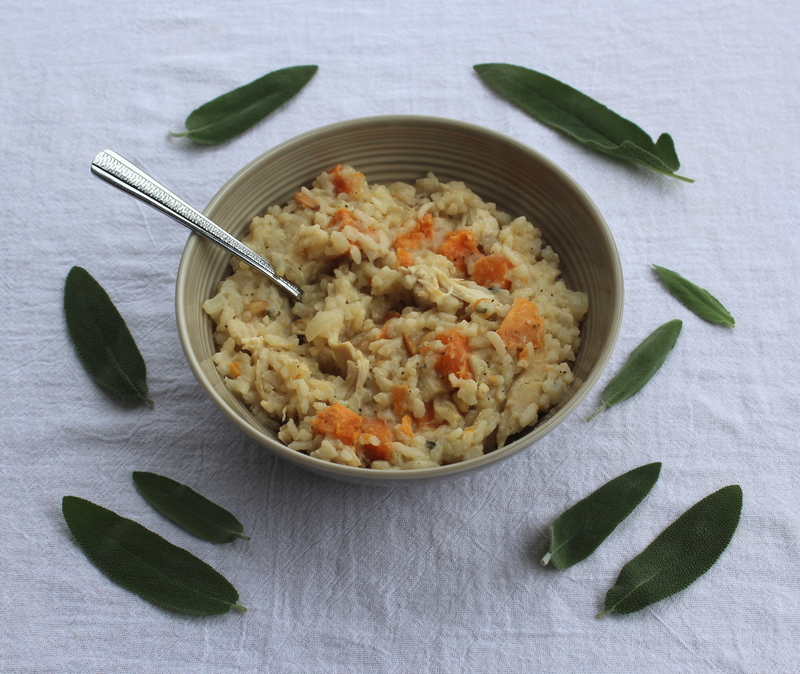 That’s why I’m sharing this recipe for Chicken, Sweet Potato, and Pine Nut Risotto with Fresh Sage with you today! Really, this recipe is quite healthful in the scheme of things because it incorporates whole ingredients, instead of baddie processed ones. I am huge on the philosophy of whole-foods-based eating (eating meals that incorporate ingredients with natural sources, rather than processed ingredients). I believe it’s much more important than eating low-calorie. 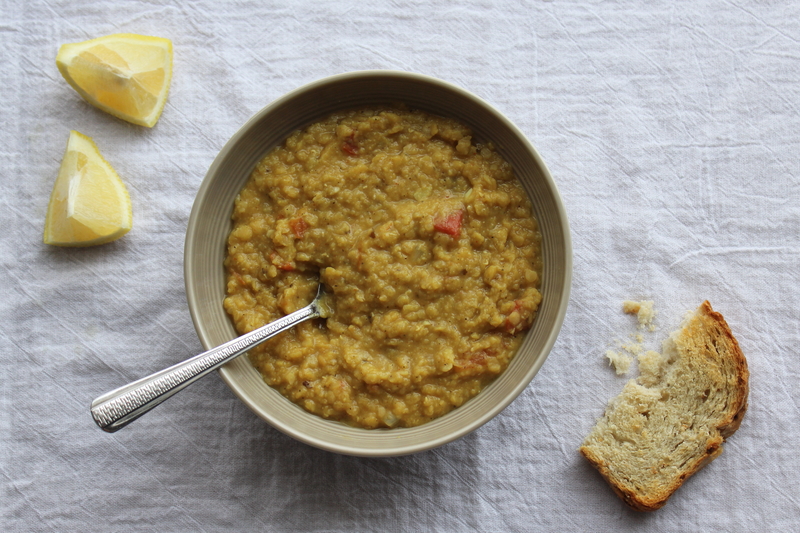 So while this risotto probably isn’t exactly low-calorie, it’s clean. Yeah, clean eats! OK, I know Mondays aren’t especially happy for many of us. I hear you! But you know what will make your Monday so, SO much better? 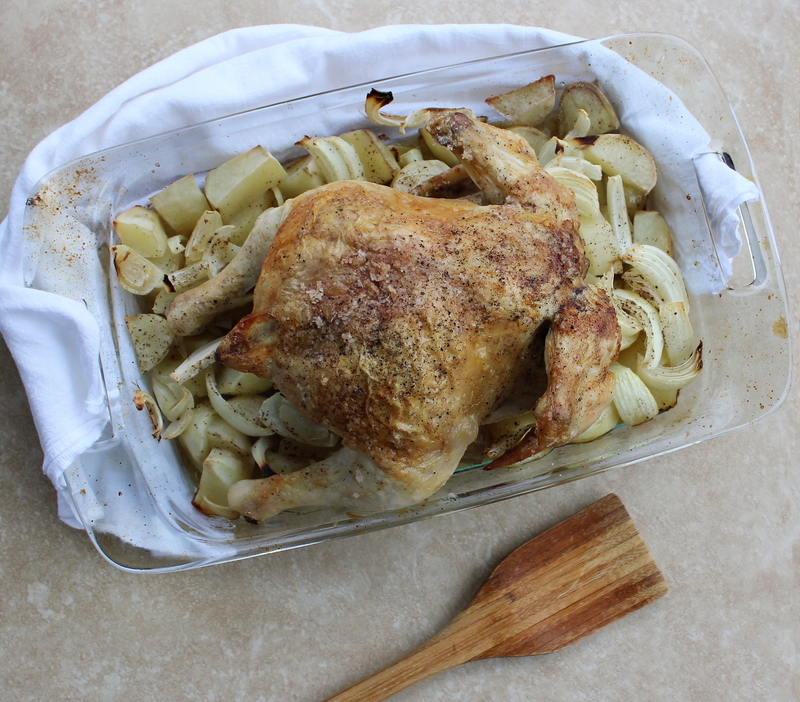 A whole chicken just out of the oven, all golden and crispy-skinned, on a bed of potatoes and onions tender-roasted in the drippings – YUMMMMM. There are few things better in life, in my opinion, than fresh-roasted chicken. I stand over it at the stove, ripping pieces off of the still piping-hot bird, burning my fingers, dipping the pieces in the buttery pan drippings . . . THE BEST. OK, can you BELIEVE that we are already into the THIRD week of the new year? Craziness! 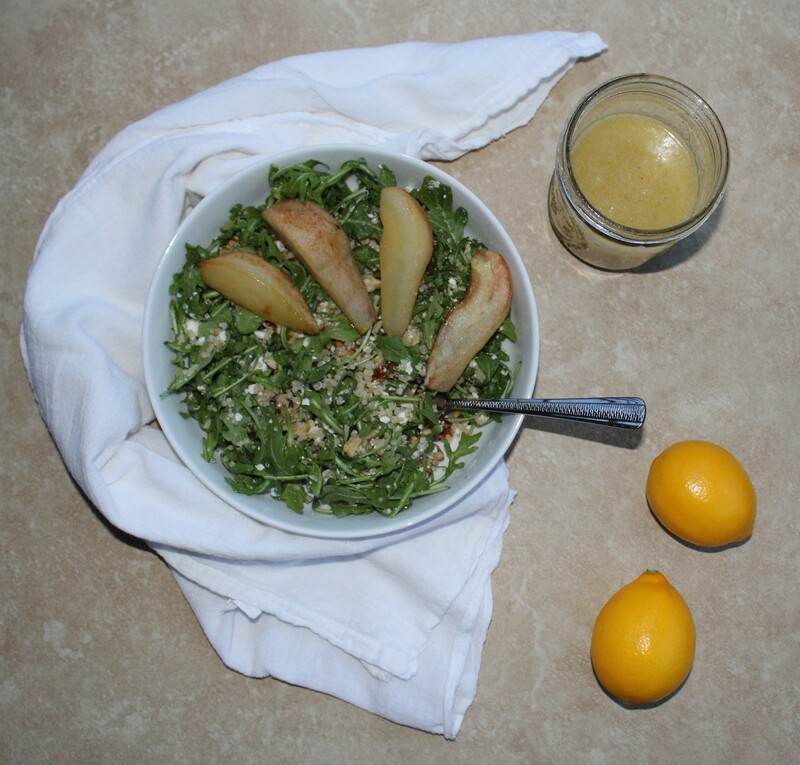 What’s not craziness: this Arugula Quinoa Salad with Baked Pears and Meyer Lemon Vinaigrette! It is just plain lovely. But first, I can’t help but muse about the passage of time, and habits, and goals, because they are on my mind a lot lately during this quickly-ensuing January. Maybe they’ve been on your mind, too. Time really does fly so quickly. The freshness of a new year eventually wears off. New year’s resolutions become less shiny and exciting – and consequently, less enticing to follow. The daily grind wears us down, tempts us to flake out on our goals. Having a Monday-through-Friday day job in corporate America (for now, at least!) that doesn’t quite vibe with my personal interests, I very much savor the weekend, a.k.a. Real Life, as I call it. During Real Life time, I have the space to do all of the stuff that my heart sings at doing, such as developing recipes for this blog (utilizing the precious daylight that is so scarce this time of year and oft missed when I’m corralled inside my cubicle), visiting new restaurants with my pals, and dozing off in front of the TV in my fleece sweatpants (seriously one of my fave pastimes. I am not a napper except when it’s dark and I’m in front of a TV). 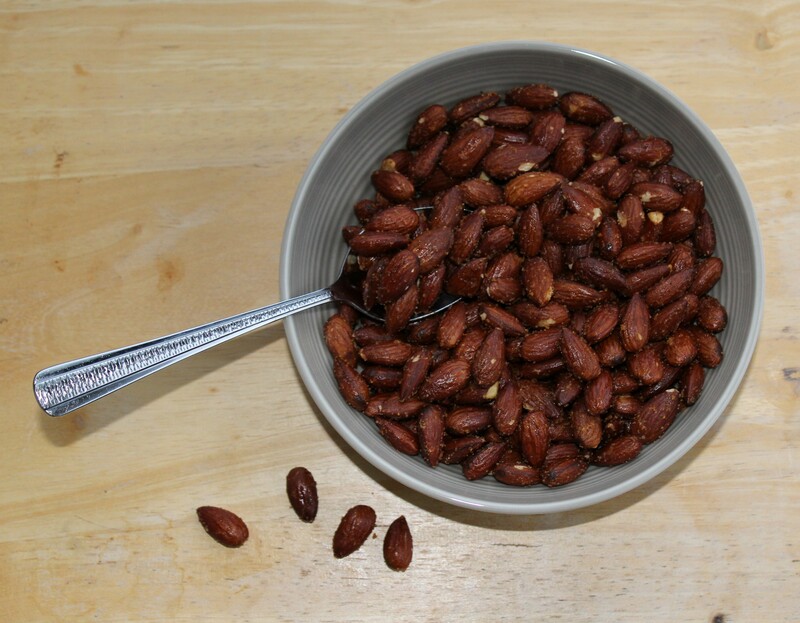 And snacking – lots and lots of unbridled snacking. Because I couldn’t stop with last week’s Cheesy Cauliflower Spinach Quinoa Pesto Bake, today we have: another quinoa casserole! I’ve deferred from using the word “casserole” in these recipe titles because of the connotations it has for me. It conjures up images of garish 1950s-era concoctions or dishes swimming in cream-of-chicken soup. OK, cream-based-soups have their place in my heart – I did come of age in the ’90s in the Midwest – but you won’t be seeing them as an ingredient here. 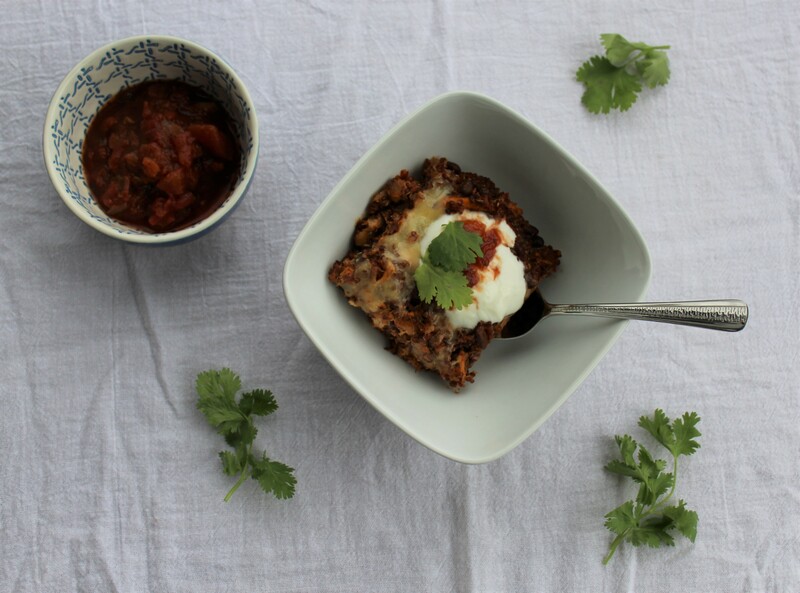 We value freshness and the use of whole ingredients here at A Cookable Feast! My philosophy is to include processed foods not as a staple of my diet, but as a sporadic indulgence (I do have a fondness for Cheetos, for instance, but I don’t keep them in the house. However, I’ll gobble them at every barbeque and birthday party they’re set out at). The Postwar era was a cray-cray time for food here in the U.S., with home-cooked meals often relying heavily on then-newfangled processed ingredients and oft-zany brand-sanctioned recipes (Google “Crazy 1950s recipes,” and you’ll see what I mean – an excellent diversion when you’re rendered useless by post-lunch drowsiness at work). But I’ll take one lesson from that time: as long as a not-repulsive combination of ingredients is used, the casserole is an excellent format for a quick and easy meal. 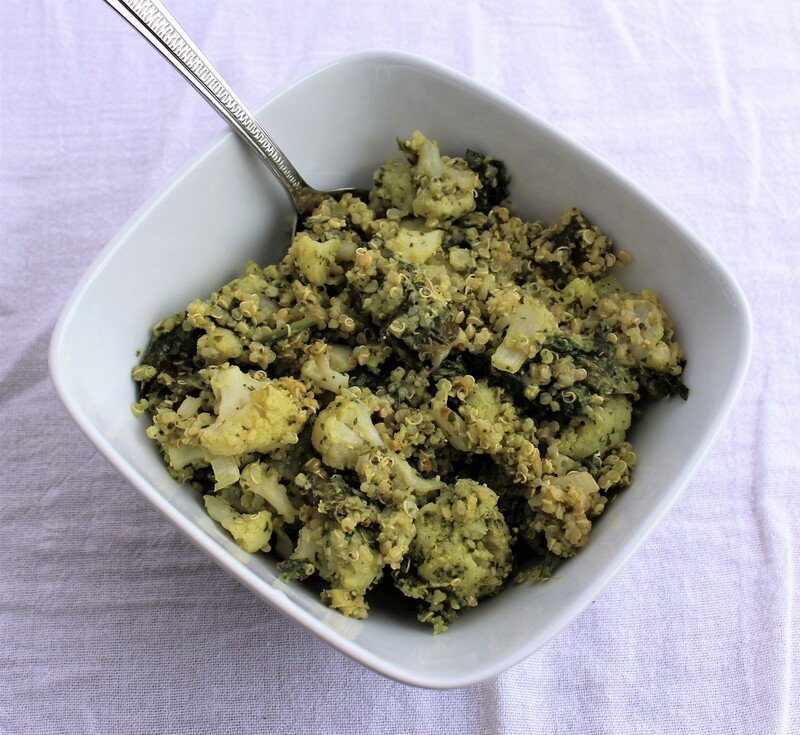 Today on the blog we have a dish that combines the healthful (nutrient-packed cauliflower, spinach, and quinoa) with the decadent (homemade pesto). Say hello to Cheesy Cauliflower Spinach Quinoa Pesto Bake! Hello, all! Happy New Year!!! I hope you had a safe and abundant holiday season full of relaxation, physical and mental recharging, and hopefully lots of cooking and eating of good food. I’m glad to be back to writing on this blog after an unplanned month-long holiday break. December was a lovely time of connecting with oft-too-little-seen family and friends, enjoying decadent food and drink, and spending more time than usual in my beloved fleece sweatpants. All of the rest, relaxation, and socializing has been great. But I’m ready to get back into the game and give 2017 all that I’ve got!